I have a friend, Donald McQuade, who has about the most stereotypical “film snob” taste out of anyone I know. He honestly loves Truffaut, Godard, Ozu…all of those tried and true film school directors who all of us know we should like, but probably haven’t seen as many of their films as we should. He’s true blue as well – he’s been watching this stuff since he was a kid and adores it without a touch of irony. Which is not to say that I don’t love classic film. I do. Tremendously. 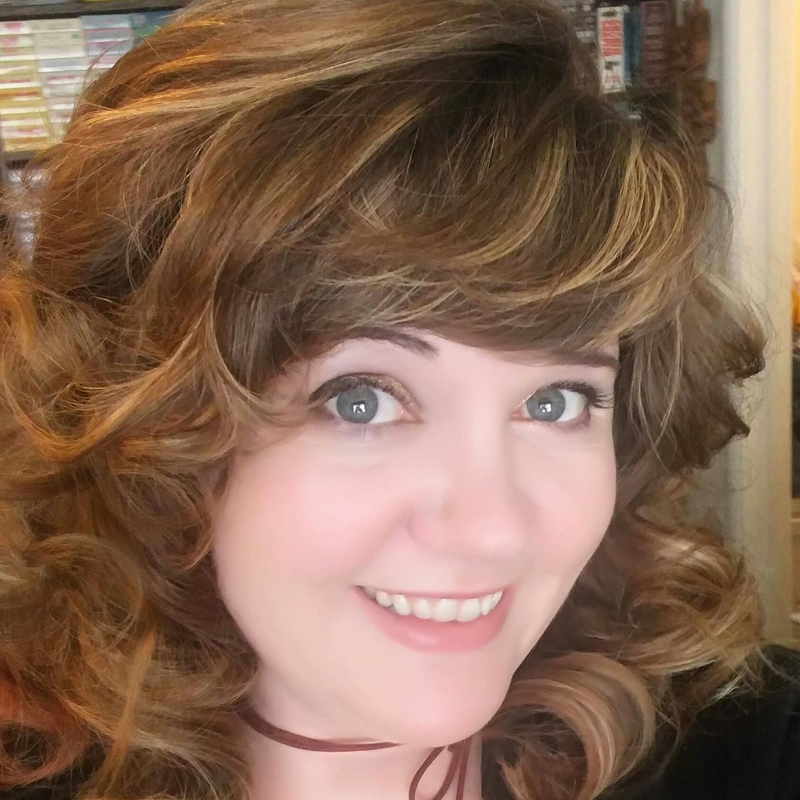 I cherish my vast love of film, and the fact that I love cinema across class boundaries, color, language, genres, age or type. I’ve seen almost every Chaplin film, have seen all of the French New Wave biggies (and adore Masculin Feminin especially) and lots of art and foreign films but I would say that beyond my film school/New Bev education, my high brow film viewing has been a bit lacking. Donald, meanwhile, is just the opposite. He has seen countless Kurosawa movies, but not Last House on the Left. Fellini yes, Hughes, not so much. So we decided that we should cross-educate each other with a weekly High Brow/Low Brow Friday double feature at his place. 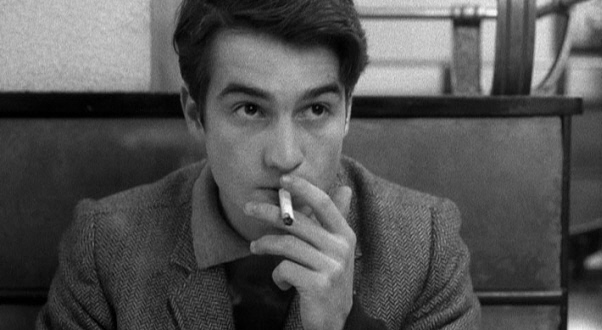 I would show him one of my favorite “low brow” films and he would counter with one of his favorite “high brow” films. 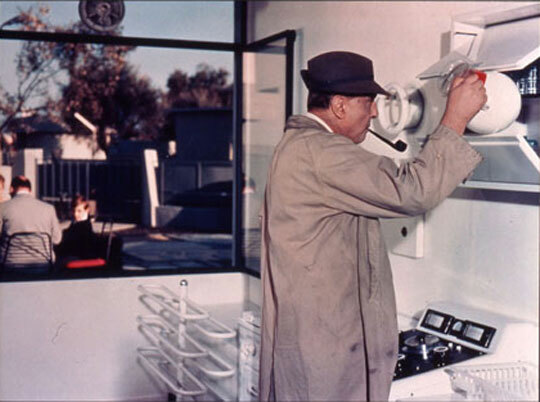 We had our inaugural screening last week with a Final Exam/Mon Oncle double. Final Exam, for those of you who don’t know, is one of my favorite horror movies. So much so that when they were recording the commentary track for the DVD, I was asked to moderate the commentary since I probably was its biggest fan! Directed by Jimmy Huston (who also directed the ever popular Robert Sean Leonard vehicle My Best Friend is a Vampire) in 1981, Final Exam at first glance appears to be a very cookie cutter slasher film. But, lurking beneath the surface is actually a very clever little movie, with my favorite horror movie character of all time, RADISH. 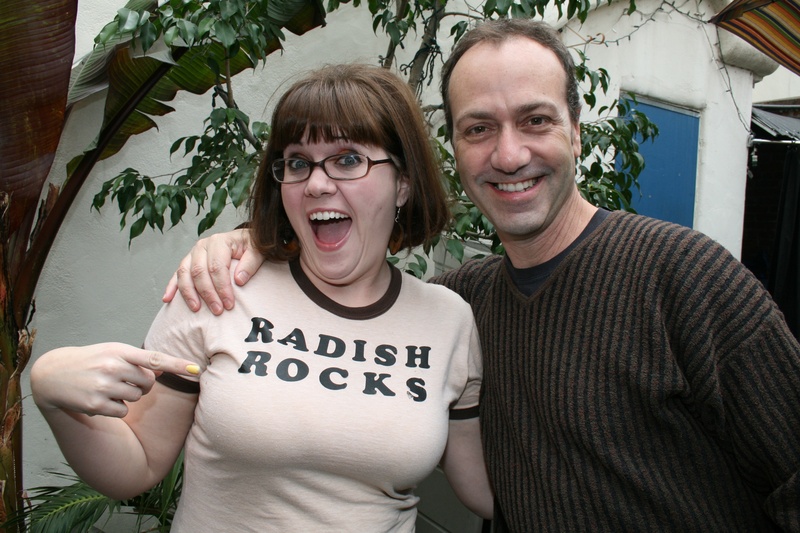 Radish Rocks – yes, I made a shirt that says that and actually wore it to record my DVD commentary (freaking out Joel S. Rice, who played said character). Every self-aware horror movie character you have ever seen on-screen started out with this one – a brainy geek who loves horror and true crime a little too much – so much so that he’s become paranoid about serial killers stalking around in his own life . And guess what? He’s right. I also have an “alternate theory” to this film that may or may not have been what the filmmaker intended – but that’s all available on the commentary track, so you can listen for it on your own time.Surprisingly, Donald came up with the same theory I did when watching the film! 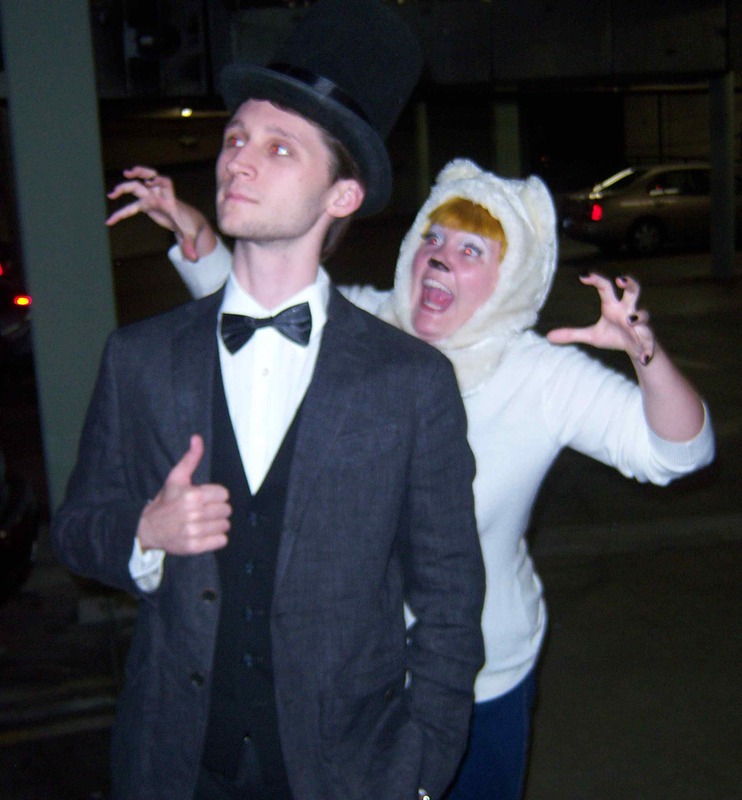 He loved the cheesy costumes, Radish and his frat-boy nemesis Wildman, the synth soundtrack and the existential ending. A win! 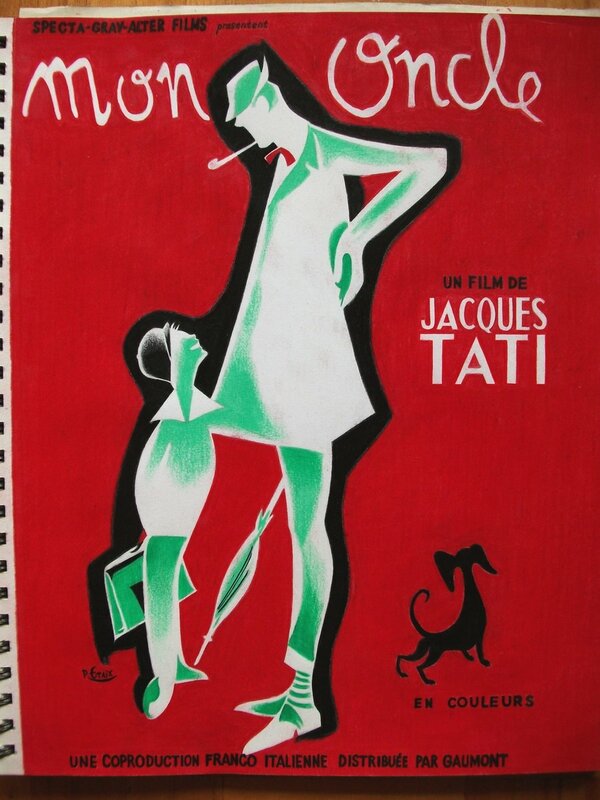 After a cookie break, we continued on with Mon Oncle, Jacques Tati’s 1958 film starring his famous Monsieur Hulot. I had never seen any of Tati’s films before, but Donald gave me a quick de-briefing before we began. There were lots of things I really liked about the film – it’s deadpan view of the rich and their never-ending quest to have the best and most modern inventions at their fingertips, the almost Wes Anderson like attention to detail, and the sound design was AMAZING. I joked that we should have been playing a drinking game while watching it and every time something buzzed in the film, you were to take a drink. You would be sloshed within ten minutes. That being said, I definitely think the film would have played much better had I seen it with an audience. This kind of French comedy is so incredibly subtle – and I don’t laugh out loud much when watching movies – that I think hearing the other viewers’ reactions would have made this film a lot funnier. It fell a little flat with just the two of us in his living room. So stay tuned for next weeks edition of Snob Vs Slob – who knows what crazy mis-matched pair of films we will be watching next?! « The reality of it.